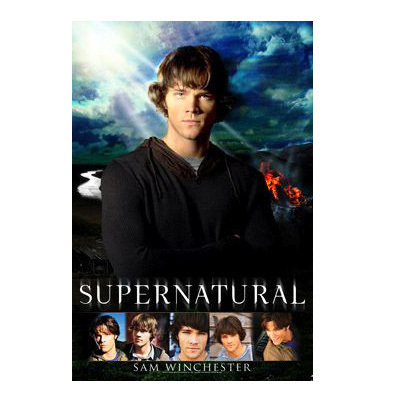 Supernatural Poster. Sam Winchester. Wallpaper and background images in the Winchester's Journal club. This Winchester's Journal photo might contain vêtements de plein air, survêtements, vêtements de dessus, vêtements d’extérieur, overclothes, portrait, headshot, gros plan, and closeup.